Of course, Elizabeth Warren not only wants to implement a wealth tax for being on the search for new funding of her costly projects, but also because “the rich” don’t pay their “fair share.” Disregarding the questionable assumption that letting those who are successful pay a much bigger share than the others would be fair, “the rich” already pay much more than the rest of the population anyway. 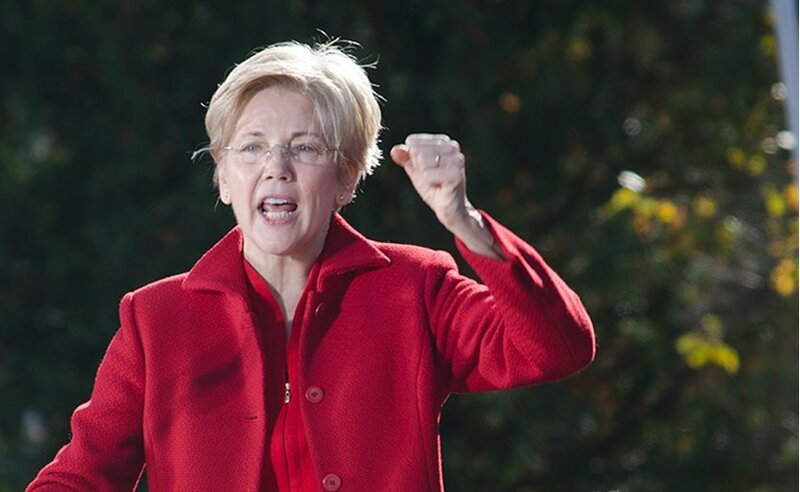 Even Warren is admitting that when she says that the top 0.1 percent pay 3.2 percent of total taxes, which is more than six times the share as the bottom 50 percent. The top 1 percent, meanwhile, pays a greater share of income taxes than the bottom 90 percent combined. All of this is not to say that Elizabeth Warren is wrong when she says that “Washington is broken.” She is right when she says, like in a recent Bloomberg interview , that the system is stacked against the Average Joe, that “right now it works if you are a billionaire” or a “giant multinational corporation” or someone who is “wealthy” and “well-connected.” That the system is broken is one of the main reasons why someone like Donald Trump could ever become President .